The public at large thinks that eating bread is an easy way to add weight. In fact when many decide they have to lose a few pounds the first food to be reduced or banned altogether from their diet is bread. However as bread consumption has gone down obesity is increasing. Most of the studies that aimed at investigating the association between bread consumption, weight and waist circumference tell a bit of a different story. It is white bread which seems to be related to body weight increases and excess abdominal fat. Alternatively, wholegrain bread does not appear to affect weight gain positively. We have talked before about the effect that wholegrain products have on our appetite. They make us feel more satiated relative to refined products. Due to this energy intake is reduced, in other words we eat less. In addition, wholegrains are not as energy dense. 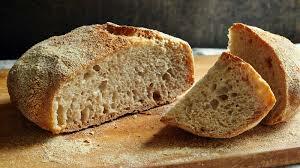 Hence for a given quantity consumed wholegrain bread will not induce the same weight gain as refined bread. The glycaemic index (GI) is a value which reflects the effect that a particular food or meal has on an individual’s blood glucose. Wholegrain bread has a low glycaemic index, which means that its nutrients are absorbed and digested more slowly relative to refined one. As a result gastrointestinal peptides are released that cause us to feel satiated. Again energy intake is restricted. There are three ways via which fibre (contained in wholegrain bread) could potentially influence weight regulation and abdominal fat. Firstly fibre with water make together a solution which limits the amount of glucose absorbed. Secondly through limiting the amount of insulin produced after the meal fibre may influence the reduction of fat and the feeling of fullness. 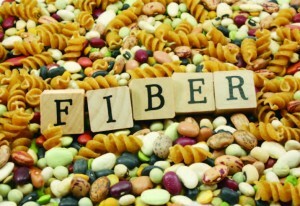 Thirdly fibre affects satiety through gut hormone. The latter’s effect on satiety is independent of glucose response, in contrast to ways one and two. In this case the mechanism through which gut microbiota may influence weight regulation is based on a hypothesis. It is believed that gut microbiota play a role in the extraction of energy from the food we have consumed and help deposit that energy. If we couple that with the fact that microbiota composition differs between lean and obese people there is reason to believe that this is another potential way in which whole-grain bread benefits weight regulation. Serra-Majem L., Bautista-Castano B (2015) Relationship between bread and obesity, British Journal of Nutrition, 113: S29-S35.